The Vans Warped Tour makes a 24th and final stop in the metro area at 11 a.m. Friday, July 20, for its first-ever residency at the Meadow Brook Amphitheatre on the Oakland University campus, Rochester Hills. Tickets start at $45. Call 313-471-7000 or visit 313Presents.com. • The Motor City Madman comes home as Ted Nugent hosts a Whiplash Bash with Blue Oyster Cult and Grand Funk Railroad co-founder Mark Farner at 7 p.m. Friday, July 20, at the DTE Energy Music Theatre, Sashabaw Road east of I-75, Independence Township. Tickets start at $25. Call 313-471-7000 or visit 313Presents.com. • Ms. Lauryn Hill celebrates the 25th anniversary of her landmark “The Miseducation of Lauryn Hill” album with help from Santigold, Busta Rhymes, Dave East and Bambaata Marley at 6 p.m. Friday, July 20, in the Michigan Lottery Amphitheatre at Freedom Hill, 14900 Metropolitan Pkwy., Sterling Heights. Tickets start at $27. Call 313-471-7000 or visit 313Presents.com. • Tuva’s Huun Huur Tu performs a free show at 7 p.m. Friday, July 20, on the North Lawn of the Detroit Institute of Arts, 5200 Woodward Ave. Call 313-833-9700 or visit dia.org. • Local singer-songwriter Bog Mervak celebrates the release of a new EP with an 8 p.m. show on Friday, July 20, at Otus Supply, 345 E. Nine Mile Road, Ferndale. Olivia Millerschin and Sean Blackman will also perform. Tickets are $10 advance, $15 at the door. Call 248-291-6160 or visit otussupply.com. • The folk troupe Frontier Ruckus plays at 8 p.m. Friday, July 20, at 20 Front Street in Lake Orion. Tickets are $25. Call 248-783-7105 or visit 20frontstreet.com. • Detroit Symphony Orchestra assistant conductor Michelle Merrill takes the DSO to the neighborhoods this weekend to play Britten, Mozart and Mendelssohon at 8 p.m. Friday in Plymouth, 8 p.m. Saturday, July 21, in Bloomfield Hills and 3 p.m. Sunday in Grosse Pointe. Call 313-576-5111 or visit dso.org for all the details. • Uncle Kracker and Artificial Agent play this week’s Rockin’ on the Riverfront series at 7:30 p.m. Friday, July 13, behind the GM Renaissance Center in downtown Detroit. Admission is free. Visit gmrencen.com/rockinontheriverfront. • Ne-Yo and Brandy sing sweet soul music at 8 p.m. Friday, July 20, at Chene Park Amphitheatre, 2600 E. Atwater, Detroit. Tickets are $61 pavilion, $41 lawn. Call 800-745-3000 or visit cheneparkdetroit.com. • The headbanging L.A. troupe Armored Saint plays its 1991 album “Symbol Of Salvation” in its entirety on Friday, July 20, at The Shelter, 431 E. Congress St., Detroit. Doors open at 7 p.m. Tickets are $25 in advance, $30 day of show. Call 313-961-6358 or visit saintandrewsdetroit.com. • Blake Shelton, Brooks & Dunn, Florida Georgia Line and other country music stars are part of this year’s Faster Horses Festival, running Friday through Sunday, July 20-22, at the Michigan International Speedway. 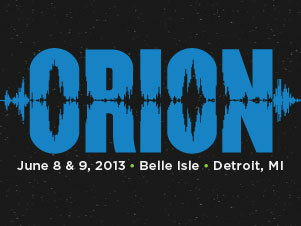 Weekend passes from $199-$599 are still available. Visit fasterhorsesfestival.com. • Fiddle virtuoso Jeremy Kittle and Co. settle in for two shows, 3 and 8 p.m. Saturday, July 21, at 20 Front Street in Lake Orion. Tickets are $30 for each. Call 248-783-7105 or visit 20frontstreet.com. • Rappers Wiz Khalifa and Ra Sremmurd open their Dazed & Blazed Summer tour at 6 p.m. Saturday, July 21, at the DTE Energy Music Theatre, Independent Township. Tickets start at $29. Call 313-471-7000 or visit 313Presents.com. • The Tedeschi Trucks Band’s Wheels of Soul tour, with Drive-By Truckers and the Marcus King Band, drives into the Michigan Lottery Amphitheatre at Freedom Hill in Sterling Heights at 7 p.m. Saturday, July 21. Tickets start at $19.50. Call 313-471-7000 or visit 313Presents.com. • Modern rock troupe Saint Motel plays for free at 7 p.m. Saturday, July 21, as part of the one-year anniversary celebration for Beacon Park, 1903 Grand River Ave. at Cass in Detroit. Visit DTEBeaconPark.com. • Rapper A$AP Ferg, joined by IDK and Buddy, performs Saturday, July 21, at Saint Andrews Hall, 431 E. Congress St., Detroit. Doors open at 7 p.m. Tickets are $30.86. Call 313-961-6358 or visit saintandrewsdetroit.com. • The new Rhythm and Rhymes Music Festival, featuring Nick Colionne, Alexander Zonjic & Friends, Tim Bowman, Project Grand Slam and Lady Sunshine & the X Band, bows at 1 p.m. Saturday, July 21, on the lawn of the Southfield Civic Center, 26000 Evergreen Road. Admission is free. Call 248-796-4620 or visit zonjic.com. • Radiohead makes a rare metro area appearance, with guitarist Jonny Greenwood and Shye Ben Tzur opening, at 7:30 p.m. Sunday, July 22, at Little Caesars Arena in downtown Detroit. Tickets start at $65. Call 313-471-7000 or visit 313Presents.com. • Hard rockers Godsmack and Shinedown, with Like A Storm, open their North American tour at 7 p.m. Sunday, July 22, at the DTE Energy Music Theatre, Independence Township. Tickets start at $25. Call 313-471-7000 or visit 313Presents.com. • George Clinton & Parliament Funkadelic make what he says will be a farewell performance in his former hometown as part of The Kiss Block Party at 6 p.m. Sunday, July 22, at the Michigan Lottery Amphitheatre, Sterling Heights. The Dazz Band, Mary Jane Girls, Rose Royce and Con Funk Shun are also on the bill. Tickets start at $33. Call 313-471-7000 or visit 313Presents.com.